Regulated, three-way catalytic converters are standard in Porsche cars beginning with 1990 models. Cars can be ordered with M 150 equipment for delivery with a primary muffler instead of a catalytic converter for countries, in which catalytic converters are not mandatory. 928 GT and 928 S4 have the same final muffler and twin tailpipe for standardization of parts in 1990 models. Insulated air intake hoses of Swiss version are installed standard on the engine of 928 GT cars to reduce intake noise. 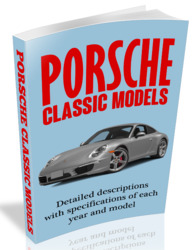 No modifications have been made on the 928 S4 fuel and ignition systems for 1990 models. 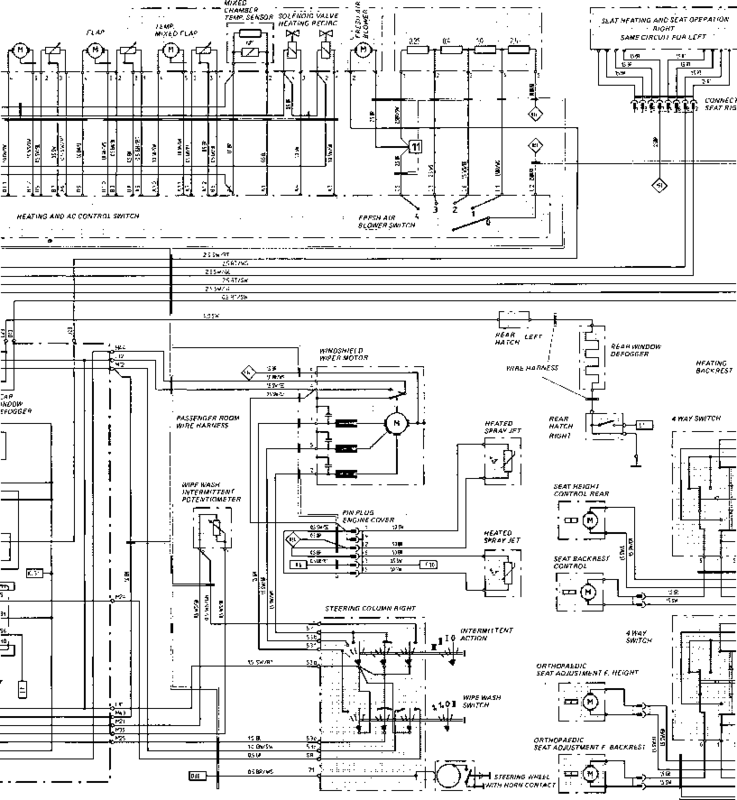 Modifications on the fuel injection (LH) and ignition (EZK) control units of 928 GT cars are described in the 1989 Model 928 GT Model Information. Diagnosable control units installed in cars, which are equipped with an airbag system (USA: standard) and for which the airbag control lamp indicates a fault in the system, can be diagnosed with a flashing code tester 9268 only after elimination of the fault in the airbag system and cancellation of the fault memory in the airbag control unit. 928 GT is delivered exclusively with a five-speed manual transmission. Manual transmissions are combined with Porsche's electronically controlled, limited slip differential (PSD), which permits an infinitely variable locking ratio from 0 to 100 %. Remarks: The transmission diagram shows reference values which are based on a mean effective radius. 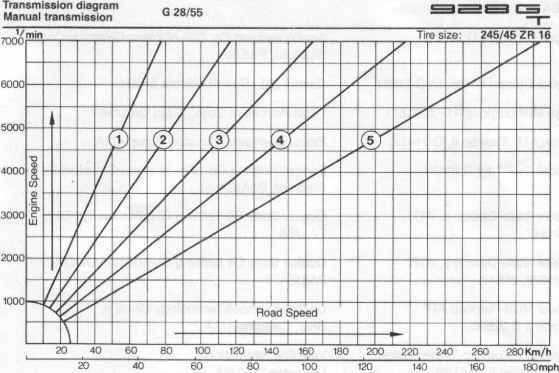 There is no consideration for slight deviations due to tire tolerances, changes in rolling radius, wear and tire slip. 928 S4 cars are delivered basically with the same A 28/16 automatic transmission from last year without any modifications. Automatic transmissions are also combined with the Porsche limited slip differential (PSD). 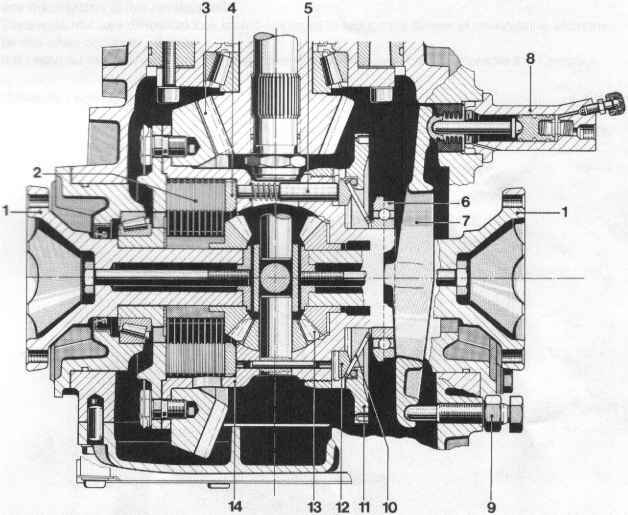 Components of the electronically controlled transverse lock are identical with those of the G 28/55 manual transmission. Folllowing ATF products have been approved for A 28 automatic transmissions in the meantime and can be used for correcting ATF level, replacing ATF and initial filling of repaired or exchanged transmissions. Make sure that only approved products with the correct, five-digit qualification number (for example: D-21666) are used. Smooth shifting could be impaired considerably when wrong ATF products are used. With Porsche's electronically controlled limited slip differential it is possible to have a locking ratio from 0 to 100 percent depending on dynamic operating requirements. Electronic control is Integrated in the ABS control unit for logistic reasons. A hydraulic slave cylinder on the side of the transmission case is activated by the high pressure hydraulic system depending on requirements. The package of plates in the Porsche limited slip differential, which consists of 20 friction surfaces, is compressed with a force of approximately 3 tons (30 kN) for full locking (100 % locking ratio). Plate-type limited slip differential (2) and operating components are located in differential case (14). Plate-type locks can be closed (up to 100 % locking ratio) and opened again (0 % locking ratio) for certain operating conditions by slave cylinder (8) which is operated by an external high pressure hydraulic system. Intermediate locking ratios are possible in fractions of a second in infinite steps as required. Operating energy is supplied by a hydraulic system with pressure reservoir. Slave cylinder (8) receives pressure and moves the adjustable engaging arm (7) and also engaging bearing (6) in direction of differential case (14). Force is forward via spring-loaded lever (10), pressure ring (11) and four spring-loaded pressure pins (5) to pressure ring (4), which in turn compresses the plate package (2). This produces friction- type locking between the left output end (1) and differential case (14). Since there is positive lock- ing with the right output end via differential bevel gaers (13), there is also uniform locking effect on the right side. Pressure in the hydraulic system going to slave cylinder (8) must be reduced or eliminated, when it is necessary to partially or completely eliminate locking in the limited slip differential. This will eliminate or reduce the pressure on plate package (2). The bevel gear differential can then again function normally with "right to left compensation"